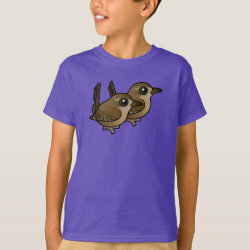 Male and female Winter Wrens look alike. 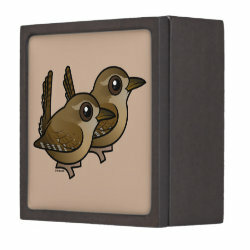 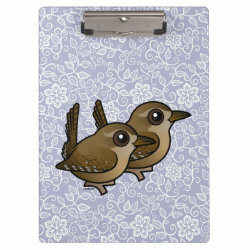 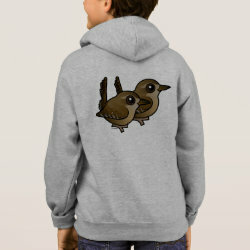 This cute original design features a pair of Winter Wrens standing together. 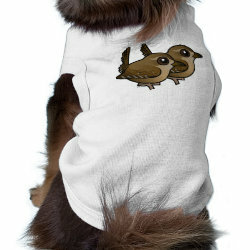 Is it almost nesting time? 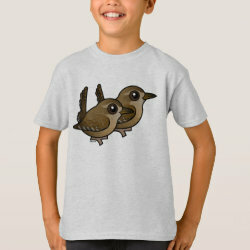 Males build several nests as they try to attract a partner for the more... season. 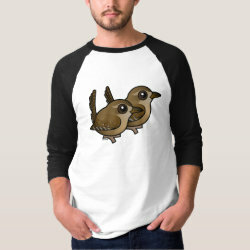 He will perform songs and dances to attract a mate. 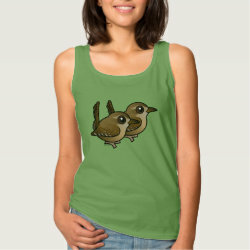 When the female has chosen her mate, she will line her preferred nest. 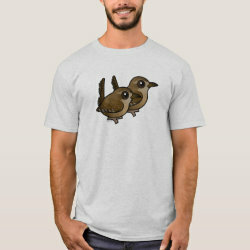 The female will generally do all incubating and brooding herself; male Winter Wrens contribute to feeding of nestlings, especially as they age. 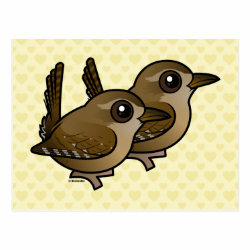 The pair-bond between Winter Wrens usually lasts through one breeding cycle. Winter Wren Pair Kitchen Towel 16" x 24"